Mt. Washington branch manager Larry Richmond, ATLA treasurer Jeanne Sheppard, regional manager Maria Sferra, and interim Anderson branch manager Debbie Brown. 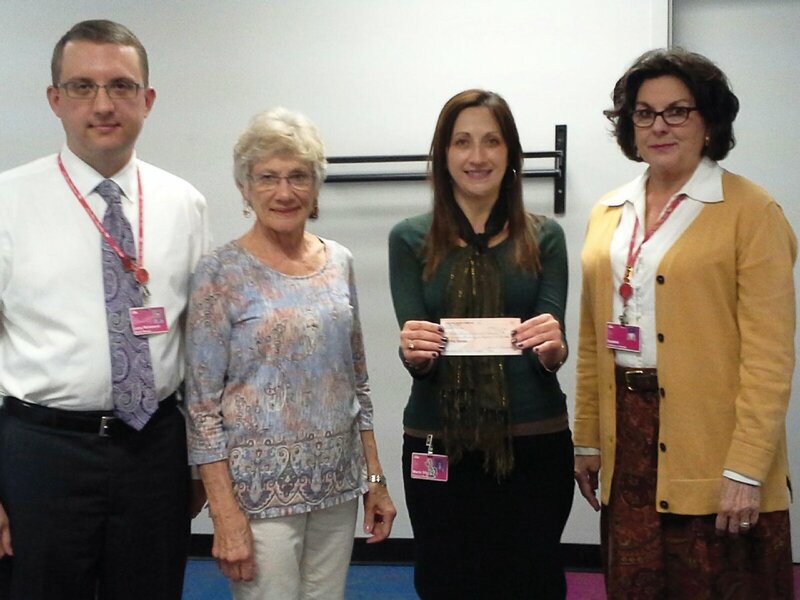 The Anderson Township Library Association donated $27,500 to the Anderson and Mt. Washington branches. The funds came from used- book sales held last year. The association is a volunteer group that supports the facilities, services and resources of the Anderson and Mt. Washington branches. Funds raised by these sales support adult and children’s programs and help purchase books, audiovisual material and equipment. Donations are accepted throughout the year at both branches. The next sale will be at Nagel School June 10-12.